There are plenty of commercial property investment opportunities to be found at SDL Auctions Graham Penny’s first Leicester auction of the year at the King Power Stadium. The bumper three day East Midlands auction catalogue features more than 180 lots and the auction, on Tuesday 12 February, will see 34 lots go under the hammer, including residential properties, retail units, apartment blocks, development opportunities and land from across Leicestershire and beyond..
One of the gems of the collection is a jewellery shop in the centre of the high street in desirable Oakham. The property, 7 High Street, has been trading for many years but, due to retirement, is now available with a *guide price of £180,000+. Suitable for a number of different businesses, the accommodation is arranged over three floors, with the ground floor having recently been refurbished with new décor and oak flooring. The property would rent for an estimated £15,000 per year. A mixed-use lot which is likely to attract plenty of attention is 3, 4 & 5 The Parade, Shepshed. The freehold of the whole building is going under the hammer with a guide price of £125,000+. 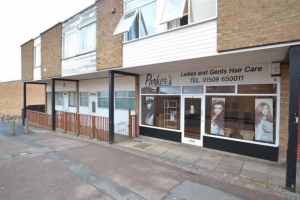 It comprises a large retail space currently used as a hair salon and let at £410 per calendar month, a two-bedroomed apartment last let at £400 per calendar month, a one-bedroomed apartment last let at £350 per calendar month and three single garages, two of which are currently let at £500 per year each. In addition, the three flats on the upper floors have been sold on long leases and bring in a ground rent of £150 per year, bringing the total rental and ground rent income to £15,070 per year. Further afield, a double retail unit in the town centre of Stockton on Tees is to be sold with a guide price of £30,000+. Units 7 & 8, 54 & 55, Prince Regent Street, features 1,000sq ft of retail space comprising two shops currently let as a whole on a two-year lease at a rent of £5,400 per year. However, planning permission has been granted to convert the unit into two takeaway shops, which would generate an annual rental income of £13,000. A standout lot at the auction will be 4 The Horsefair, Hinckley, the iconic former St George’s Ballroom, which has planning permission to be transformed into a luxury apartment block. It has a guide price of £650,000 and represents an excellent investment for a property developer. At the other end of the price range, two adjoining parcels of land are available to purchase in Jacksdale, each with a guide price of £2,000. Plot 4 Land at Selston Road, which extends to 0.61 acres, and Plot 5 Land at Selston Road, approximately 0.57 acres, have direct road frontage and may hold future potential for development, subject to the necessary planning consents. Jacksdale has a range of shops and leisure facilities, while nearby Selston is well served by transport links to the A38 and M1. Andrew Parker, managing director and auctioneer at SDL Auctions, said: “It’s always great to be back in the auction room, and especially so for the first auction of the year. To view any of the properties in the auction catalogue or bid online on any of the lots on Tuesday 12 February, click here.